The Latin Mass changes lives, changes parishes and changes communities for the better. The evidence is everywhere, from the increase in vocations to the increase in the faith, at a parish where a weekly Latin Mass is instituted on a Sunday morning. Can a Priest that reads the testimonial below explain to us why they refuse to learn the Latin Mass when it is helping their flock become better Catholics? I’d like to preface my remarks with this comment. Alan has asked me to speak a few words on -what the Traditional Latin Mass means to me. My comments are obviously subjective and there are doubtless others who favor the NO as their preference. We have a choice of liturgy and I respect their preference; I hope that they will tolerate mine. These words sum up my experience of the Latin Mass and why I am drawn to it. When we first began attending the Traditional Latin Mass (Extraordinary Form, Tridentine Mass, Mass of St.Gregory the Great), almost 10 years ago, the first thing we felt was out of place. Like most newcomers, we were very aware of our failure to understand what was happening. This of course was not due to the Mass, but to our own failure. But something else made us uncomfortable: the silence. Everyone, even the children, were so quiet. We were accustomed to a steady stream of sound and activity at the Novus Ordo. The silence of the tlm was a shock to us. The ability or desire to tolerate the commotion at an average Novus Ordo Mass prompted one priest in this diocese to cite some sort of “study” that alleged that the attendees of the Latin Mass were the “liturgical autistics” of the Church, incapable of dealing with the multiple activities of the Novus Ordo. This is quite offensive and also untrue. I find the ceaseless chatter and activity burdensome, trapping my soul on earth rather than freeing it and lifting it to heaven. I grew up a child of Vatican II; all the novelties that developed, from bongos to liturgical dancing, were “normal” to me, as I knew no differently. As I grew into an adult, however, I found the novelties tiresome, and the attempts to be “relevant” insulting. I did not need dumbed-down translations in order for me to understand; I did not need the penitential language removed in order for my self esteem to remain intact; I did not need hackneyed contemporary melodies to make the Mass seem fresh; I did not need a priest to be hip and witty in order to relate to him. I needed to worship God. While a solemnly celebrated Novus Ordo as Vatican II intended is beautiful, the Traditional Latin Mass appeals to me on a deeper spiritual level. It allows me to find God in silence that is holy, language that is noble, music that is uplifting, and in a priesthood that is set apart. I can participate in the Mass more fully thru silent meditation than I can thru sense-jarring sound and activity. I can worship God more as He deserves. At the Old Mass, you are enveloped in a reverent silence as soon as you enter the church. There is a total absence of frivolous chattering, laughing, and social activity which would imply a total lack of awareness of the Real Presence of Christ in the Tabernacle. Instead, there is only the silence of preparation for Mass. Each soul is quietly approaching God, praising Him, asking His pardon, or simply being in His presence. To do this, silence is essential. The interior of a church before a Latin Mass makes very real the fact that we are in a sanctuary, a place apart from the world, a place to meet God. This is no occasion for mundane social exchange. The most holy, awesome of silences is found during the canon of the Mass when the priest recites the prayers of consecration in an inaudible voice. This quiet reminds us that we are truly at the foot of the Cross. This moment when Christ comes down to our altars cannot be polluted with loud, hurried words and musical intrusion. As one priest friend puts it: “This is an earth shattering moment.” Let all mortal flesh keep silent. The traditional Latin Mass has taught us that real participation at Mass does not mean external activity; genuine participation is interior and requires silence. Just as an athlete, or scientist, or student needs quiet to prepare, work, and study, in order to focus fully on the task at hand, so do we need silence to focus fully on God and our presence before Him. This is hard work. But this hard work bears great fruit. In this silence we achieved as never before a deeper understanding of both forms of the Mass. Until now we had recited the well-known prayers of the Ordinary Form, but had never really prayed them. We were more passive spectators watching a performance than participants actively worshiping God. But through the Extraordinary Form, we became aware of our very real presence before God and saw clearly the need, the obligation, for the utmost reverence and attention. We learned to follow the prayers of the Old Mass in our missals and made them our own as we truly prayed the Mass. This new, more real participation has enabled us to do the same at the new Mass as well. I once read that “Words are fundamental to Catholicism: Christ is the Word, the Gospel is words, the Consecration is effected through words.” The prayers of the ancient liturgy use words of the highest reverence worthy of addressing God. They are full of humble, penitential language, acknowledging our unworthiness before God. The language is noble, devout, and full of awe. Of course, these prayers are in Latin. Many who do not attend the Old Mass believe the use of Latin to be the main reason some of us prefer the ancient rite. This is not so. But the use of Latin is significant. This “dead” language provides an integrity which binds and unifies us today with those all around the world who celebrate in the extraordinary form, regardless of language, and with all who went before: we are participating in the exact same liturgy as almost all known saints, from Aquinas to Xavier. This is our inheritance! And precisely because it is a dead language, Latin adds to the timelessness of the Mass; the need for constant revisions and translations becomes unnecessary as there is no “development” of language—and this is a good thing, since too often in history, the alteration of a few simple words has lead to heresy. But it is not just the language that is important. Every gesture of the priest expresses ultimate respect and awareness of God and the Sacrifice being offered on the altar. Every action is deliberate and purposeful—there is no variation, and no superfluous activity (even from the altar boys). This lack of individual expression, as well as the ad orientem posture, frees the priest and allows him to become anonymous, or better, to become alter Christus, another Christ. Christ offers Himself as our Sacrifice, He does not entertain us. This is liberating. The rigor of the rubrics, rather than being onerous to the priest, frees him from the burden of own ego: there is no need for him to amuse, host or otherwise divert the attention of the worshippers from the Sacrifice of the Mass. The unvarying nature of the rubrics prevents any decline into play-acting or vanity-a very real temptation for all of us when we seem to be the center of attention. The dignity of the rubrics and the anonymity of the priest keeps our focus on the Sacrifice and Its importance. The very clear separation of priest from laity, marked by the presence of the altar rail and the absence of laymen in the sanctuary, helps us to see the priest for who he truly is: Christ’s chosen one, set apart, here to intercede for us. Since attending the Latin Mass, we have learned to have more respect for the priest as we came to better appreciate the distinction and honor of the priestly office. On a final note, at the request of my 20 year old daughter, I’d like to address the wider appeal of the Old Mass. The Extraordinary Form is not simply for my parents’ generation—my family is an example of that. In fact, just in the short time we’ve attended the Latin Mass at Immaculate Conception, Jacksonville, FL. we have seen not only the number of people who attend double (at least), but the demographics are changing, too. Yes, there are still many of that older generation for whom this Mass is the liturgy of their childhood, but more and more young families and single, college-aged or 20-somethings (generation Xers?) attend. And they attend for some of same reasons I’ve talked about to night. Namely, they are tired of liturgical experimentation and long for something deeper. If our small, downtown parish with an inconvenient, early morning Latin Mass can grow like this, imagine the benefit of being in a large, spiritually vibrant parish like St. Joe’s! Because of the kindness and generosity of Fr. Cody, there is so much richness in this community, so many good things and good people; having the Old Mass here would only add to that. Many Catholics, of all backgrounds and liturgical preferences, will find refuge at St. Joseph’s. A man in black visited Ateneo last Thursday. No, he is not looking for aliens to zap. You may have seen him: a tall Chinese walking in black robes like Neo in the Matrix. On his right hand is a book–not the Bible or the Book of the Seven Animal Fists–but a Breviary, a book of prayers in Latin prayed by the monks of long ago. His name is Anthony Uy, a seminarian of the FSSP (Priestly Fraternity of St. Peter), a society of diocesan priests devoted to the promotion of the Traditional Latin Mass. The Latin Mass Saves Souls. Period. As we have been saying here on this blog often, the Traditional Latin Mass lights the fire under souls and sparks their journey to heaven. Please read the testimony below of a Navy Chief Petty Officer who, as a southern baptist, attended the Latin Mass for two weeks and is now on his journey home to the Catholic Church. 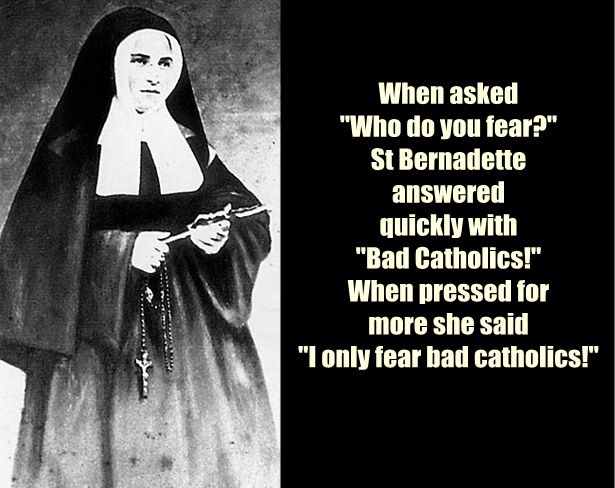 With respect to the New Evangelization, the answer is obvious. We call on all laity to storm their priest with requests and DEMAND they all learn the Latin Mass and preside over one every Sunday. Use the procedures set forth in Summorum Pontificum, Pope Emeritus’ Motu Propio established in 2006 if need be. The fruits will be incredible for you, your family . . . and the world! It is a guarantee. “The Lord is risen, Alleluia!” A most blessed Easter season to you and your family. Only the Lord knows what He wants to accomplish with our obedience, and we must trust Him to see His will through to the end, while asking only for the grace that we remain faithful in doing His will as we intend to do what the Church does. Let me give you a practical example of what I mean by this. As some of you may know, after over 15 years on active duty in both the Army as a combat arms officer and in the Navy as a priest, I continue to serve in the Navy Reserves as a chaplain. A few summers ago I did active duty for training over several weeks in Alaska, where I celebrated the Traditional Latin Mass daily. I received a powerful message from a Navy chief petty officer who got back in touch with me via Facebook after attending those Masses pretty faithfully in Alaska. As he makes clear in his message, he knew little about the Catholic faith and even less about its traditions as they existed prior to the ferment of the 1960s. “I am not sure if you will remember me or not, but hopefully so, at any rate I am HMC [Name Withheld] and I served with you in Mertarvik in 2013. “If you recall, I attended Mass just about every day for the two weeks that you were there. This time stands out for me because I thoroughly felt at the time, and still do now, that I was participating in true worship of our Lord. I am a Christian, of that I have no doubt, but from a Southern Baptist tradition. So attending Mass was a new and unusual thing for me. That it was the Traditional Latin Mass made it even more foreign and intriguing for a guy from Texas Baptist roots. Out of my comfort zone, to be sure. “But that time has continued to resonate in my heart. My evangelical upbringing and years of being ‘saved,’ as we call it, and being part of a local church and much involved in personal prayer and Bible study daily for 32 years has been, not shaken, but changed in course maybe. My prayer for clarity and discernment and increased and focused Bible study is steadily leading me, much to my chagrin at times, to Rome, as it were. It inspired a study of the Church Fathers and their writings. These just further convince me that there has been something lacking. “That being said, there are still some hurdles that I have a tough time with, being a good Baptist boy, which you can imagine before I tell you: Mary, the Pope, Purgatory, praying to saints. These are things very counter to what I have known, and difficult things that make my head spin and my heart doubt. Nonetheless, I still have that persistent pull in my heart and soul toward something much more that I have been missing out on. Our church services at my home church that my wife and children and I have attended for over 20 years seem generic and missing of something deeper and richer. I am convinced that communion, or the Lord’s Supper, is something much more than a commemoration or remembrance. “I now am convinced in my heart that, without a doubt, it is the true Body and Blood of our Lord. Sacrilege for a Southern Baptist! Why, that goes against everything. But it remains. Certainly worth offering in full, this man’s description of his inner journey is testimony to the power of the Church’s ancient tradition to make converts to the faith. Latin not only is not off-putting to those who are strangers to the Church and the faith, but rather serves to testify effectively to its divine origin in Christ 2,000 years ago. In this challenging time for faith, and as our bishops are emphasizing the New Evangelization, should we not make use also of the power and beauty of the fullness of our Tradition to win new souls for Christ? When we struggle in parish life to find ways to convert our own Catholics to regular practice of the faith out of loving obedience to God, should we not learn from the experience that a Southern Baptist teaches us to know and make full use of our own Tradition, which in many cases was not faithfully handed down? Encourage your parish priest to begin studying the Traditional Latin Mass in order to offer it regularly as part of a comprehensive program to reach a greater number of souls. Give God the priority that He deserves as God. If you can go to Mass on Sunday, then do not abuse the Saturday vigil Mass option which is offered for the sake of those who are unable to go on Sunday because of work or travel. Also put faith in the pastoral program and leadership of your parish and trust in the spiritual fruits it will bring in the spiritual life of you and your family. God love you and praised be Jesus Christ, now and forever. “I came to extirpate heresy, not to embrace it”…..
Born in 1577, at Sigmaringen, Prussia, of which town his father Johannes Rey was burgomaster; died at Sevis, 24 April, 1622. On the paternal side he was of Flemish ancestry. He pursued his studies at the University of Freiburg in the Breisgau, and in 1604 became tutor to Wilhelm von Stotzingen, with whom he travelled in France and Italy. 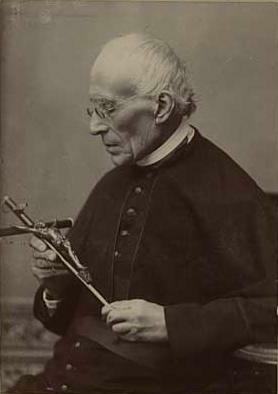 In the process for Fidelis’s canonization Wilhelm von Stotzingen bore witness to the severe mortifications his tutor practised on these journeys. In 1611 he returned to Freiburg to take the doctorate in canon and civil law, and at once began to practise as an advocate. But the open corruption which found place in the law courts determined him to relinquish that profession and to enter the Church. He was ordained priest the following year, and immediately afterwards was received into the Order of Friars Minor of the Capuchin Reform at Freiburg, taking the name of Fidelis. He has left an interesting memorial of his novitiate and of his spiritual development at that time in a book of spiritual exercises which he wrote for himself. This work was re-edited by Father Michael Hetzenauer, O.F.M. Cap., and republished in 1893 at Stuttgart under the title: “S. Fidelis a Sigmaringen exercitia seraphicae devotionis”. From the novitiate he was sent to Constance to finish his studies in theology under Father John Baptist, a Polish friar of great repute for learning and holiness. At the conclusion of his theological studies Fidelis was appointed guardian first of the community at Rheinfelden, and afterwards at Freiburg and Feldkirch. As a preacher his burning zeal earned for him a great reputation. From the beginning of his apostolic career he was untiring in his efforts to convert heretics nor did he confine his efforts in this direction to the pulpit, but also used his pen. He wrote many pamphlets against Calvinism and Zwinglianism though he would never put his name to his writings. Unfortunately these publications have long been lost. Fidelis was still guardian of the community at Feldkirch when in 1621 he was appointed to undertake a mission in the country of the Grisons with the purpose of bringing back that district to the Catholic Faith. The people there had almost all gone over to Calvinism, owing partly to the ignorance of the priests and their lack of zeal. In 1614 the Bishop of Coire had requested the Capuchins to undertake missions amongst the heretics in his diocese, but it was not until 1621 that the general of the order was able to send friars there. In that year Father Ignatius of Sergamo was commissioned with several other friars to place himself at the disposal of this bishop for missionary work, and a similar commission was given to Fidelis who however still remained guardian of Feldkirche. Before setting out on this mission Fidelis was appointed by authority of the papal nuncio to reform the Benedictine monastery at Pfafers. He entered upon his new labours in the true apostolic spirit. Since he first entered the order he had constantly prayed, as he confided to a fellow-friar, for two favours: one, that he might never fall into mortal sin; the other, that he might die for the Faith. In this Spirit he now set out, ready to give his life in preaching the Faith. He took with him his crucifix, Bible, Breviary, and the book of the rule of his order; for the rest, he went in absolute poverty, trusting to Divine Providence for his daily sustenance. He arrived in Mayenfeld in time for Advent and began at once preaching and catechizing; often preaching in several places the same day. His coming aroused strong opposition and he was frequently threatened and insulted. He not only preached in the Catholic churches and in the public streets, but occasionally in the conventicles of the heretics. At Zizers one of the principal centres of his activity, he held conferences with the magistrates and chief townsmen, often far into the night. They resulted in the conversion of Rudolph de Salis, the most influential man in the town, whose public recantation was followed by many conversions. Throughout the winter Fidelis laboured indefatigably and with such success that the heretic preachers were seriously alarmed and set themselves to inflame the people against him by representing that his mission was political rather than religious and that he was preparing the way for the subjugation of the country by the Austrians. During the Lent of 1622 he preached with especial fervour. At Easter he returned to Feldkirch to attend a chapter of the order and settle some affairs of his community. By this time the Congregation of the Propaganda had been established in Rome, and Fidelis was formally constituted by the Congregation, superior of the mission in the Grisons. He had, however, a presentiment that his laborers would shortly be brought to a close by a martyr’s death. Preaching a farewell sermon at Feldkirch he said as much. On re-entering the country of the Grisons he was met everywhere with the cry: “Death to the Capuchins!” On 24 April, being then at Grusch, he made his confession and afterwards celebrated Mass and preached. Then he set out for Sevis. On the way his companions noticed that he was particularly cheerful. At Sevis he entered the church and began to preach, but was interrupted by a sudden tumult both within and without the church. Several Austrian soldiers who were guarding the doors of the church were killed and Fidelis himself was struck. A Calvinist present offered to lead him to a place of security. Fidelis thanked the man but said his life was in the hands of God. Outside the church he was surrounded by a crowd led by the preachers who offered to save his life if he would apostatize. Fidelis replied: “I came to extirpate heresy, not to embrace it”, whereupon he was struck down. He was the first martyr of the Congregation of Propaganda. His body was afterwards taken to Feldkirch and buried in the church of his order, except his head and left arm, which were placed in the cathedral at Coire. He was beatified in 1729, and canonized in 1745. St. Fidelis is usually represented in art with a crucifix and with a wound in the head; his emblem is a bludgeon. His feast is kept on 24 April. O God, Who didst vouchsafe to inflame the heart of blessed Fidelis with seraphic ardor and to adorn him with the palm of martyrdom and with glorious miracles in spreading the true Faith: we beseech Thee, by his merits and intercession, so to strengthen us by the might of Thy grace in faith and in charity, that we may deserve to be found faithful in Thy service even unto death. Through our Lord Jesus Christ, Thy Son, Who liveth and reigneth with Thee in the unity of the Holy Ghost, world without end. Amen. People wonder why we at Team Solutio, we constantly harp on the importance of a reverent and solemn liturgy so often. Well the reason is because as the liturgy goes, so goes the world. And we care about the world and we care about all the souls still living in this world that they can find the the truth and get into heaven. Why do you think the morality of the world has crashed in the past 50 years? Because the Catholic liturgy, which was created by God himself and makes it crucial for the sustainment of mankind, has become a tool for entertainment rather than an awesome and solemn moment of worship of God, our one and only creator. Father Heilman brilliantly describes below how the ordinary form offers the “cheesy” to the world which doesn’t force us to strive for perfection. Only the Latin Mass challenges us to strive to that perfection we are called to become where the Novus Ordo mass keeps us satisfying surrounded by our own humanness and imperfections. We need to do better as the true Church of Christ. Save the liturgy and save the world! Honoring a fallen comrade means “due reverence and respect” (see soldier call out crowd at 4:45). Do we demand the same when we come to honor God in worship? We are all responsible for the well-being and salvation of one another.